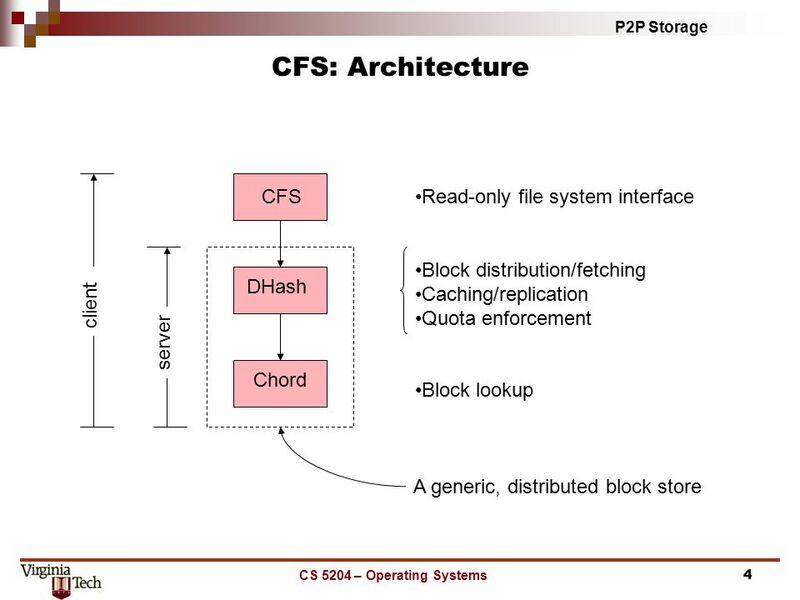 Peer-to-Peer (P2P) Distributed Storage 1Dennis Kafura – CS5204 – Operating Systems. 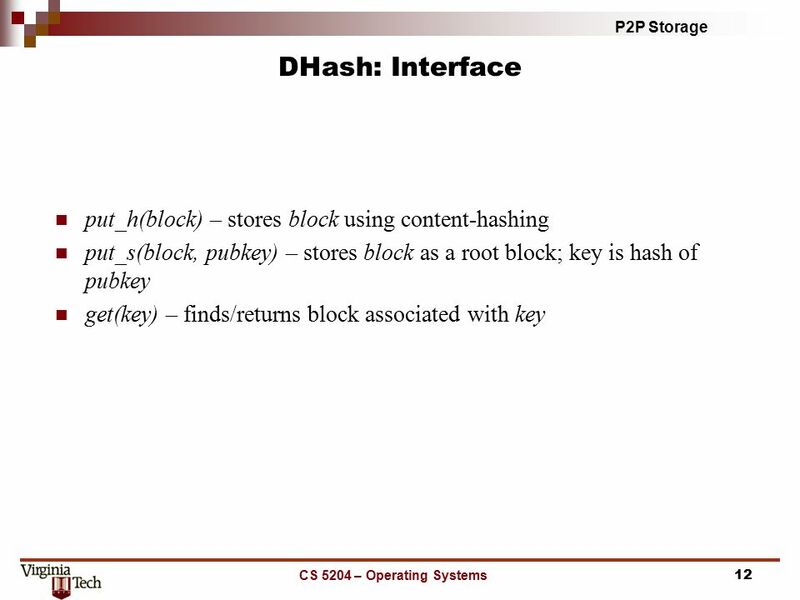 Download ppt "Peer-to-Peer (P2P) Distributed Storage 1Dennis Kafura – CS5204 – Operating Systems." 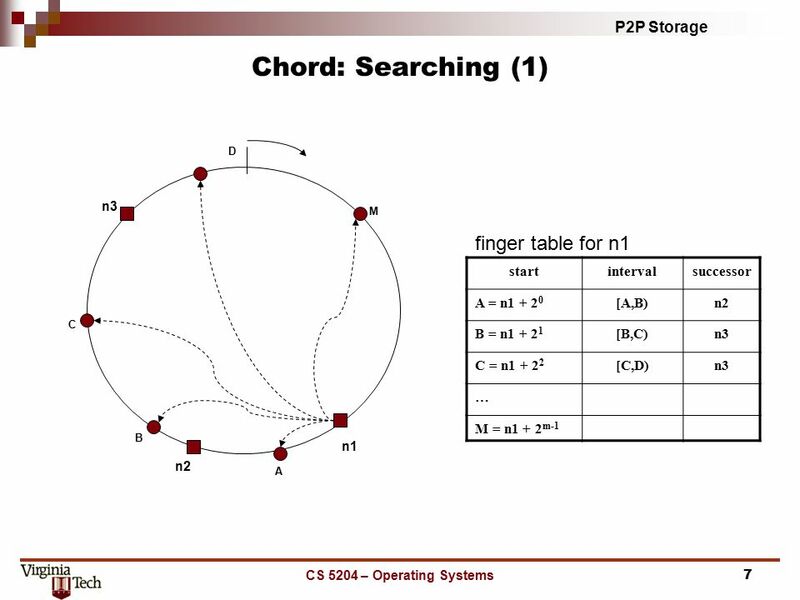 Chord: A Scalable Peer-to- Peer Lookup Service for Internet Applications Ion StoicaRobert Morris David Liben-NowellDavid R. Karger M. Frans KaashoekFrank. Chord: A scalable peer-to- peer lookup service for Internet applications Ion Stoica, Robert Morris, David Karger, M. Frans Kaashock, Hari Balakrishnan. Chord: A Scalable Peer-to-Peer Lookup Service for Internet Applications Ion Stoica, Robert Morris, David Karger, M. Frans Kaashoek, Hari Balakrishnan Presented. 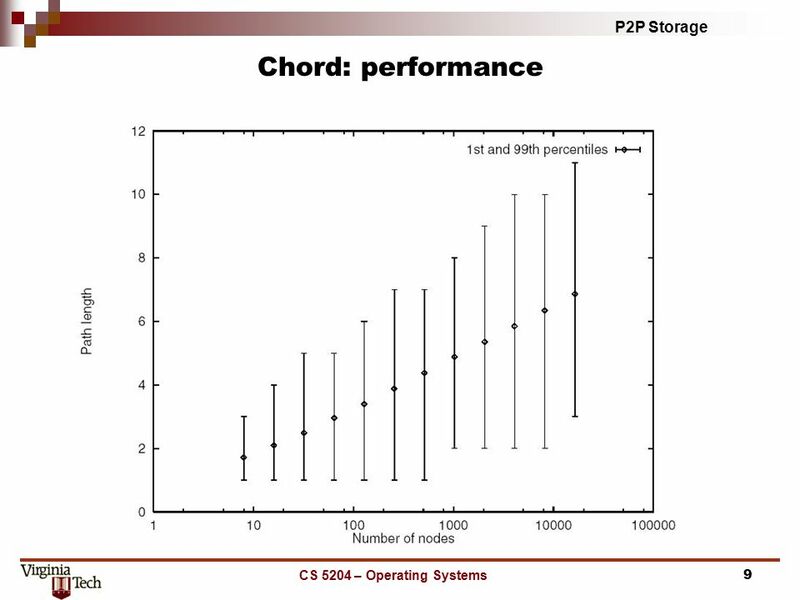 Robert Morris, M. Frans Kaashoek, David Karger, Hari Balakrishnan, Ion Stoica, David Liben-Nowell, Frank Dabek Chord: A scalable peer-to-peer look-up. 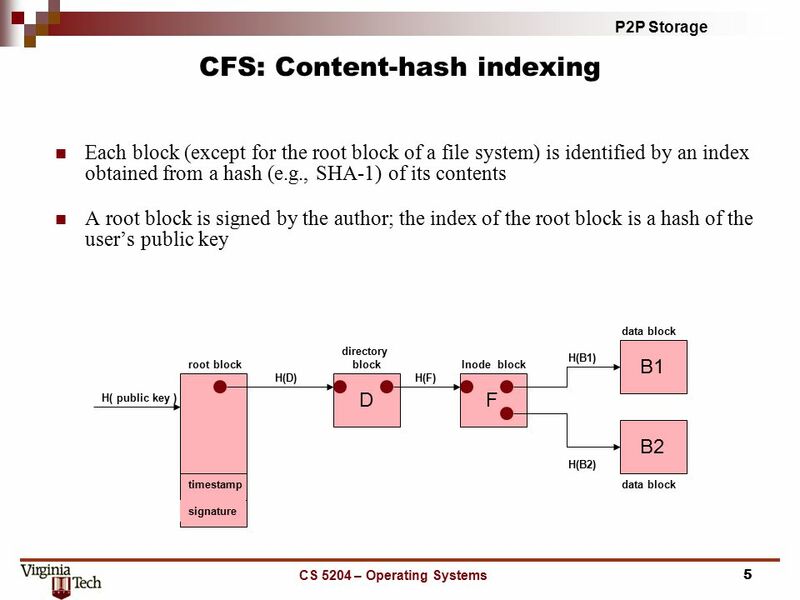 Distributed Hash Tables: Chord Brad Karp (with many slides contributed by Robert Morris) UCL Computer Science CS M038 / GZ06 27 th January, 2009. 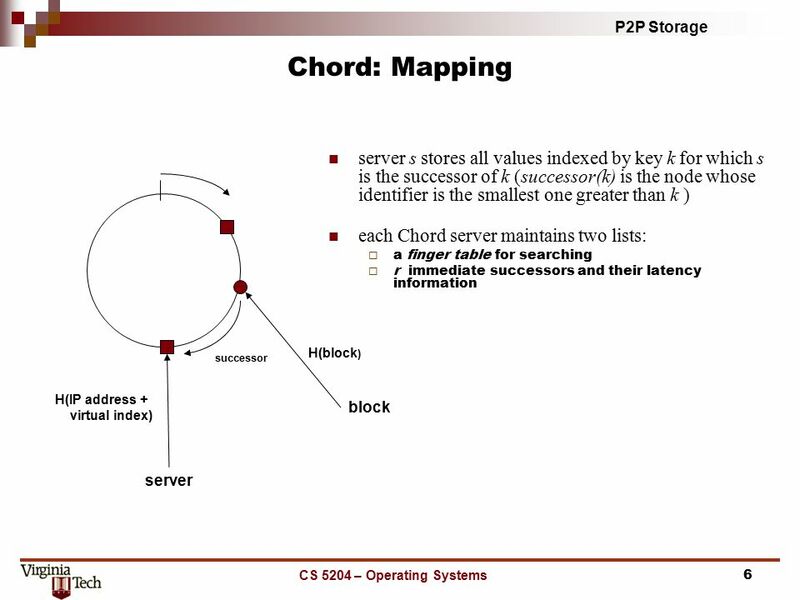 Chord: A Scalable Peer-to-peer Lookup Service for Internet Applications Robert Morris Ion Stoica, David Karger, M. Frans Kaashoek, Hari Balakrishnan MIT. 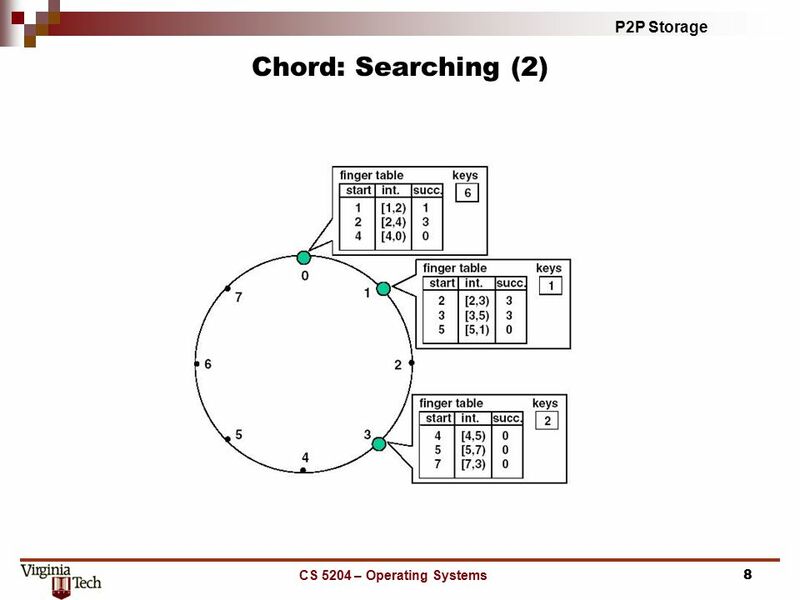 Chord: A Scalable Peer-to-peer Lookup Service for Internet Applications Ion StoicaRobert Morris David Liben-NowellDavid R. Karger M. Frans KaashoekFrank. Peer to Peer File Sharing Huseyin Ozgur TAN. 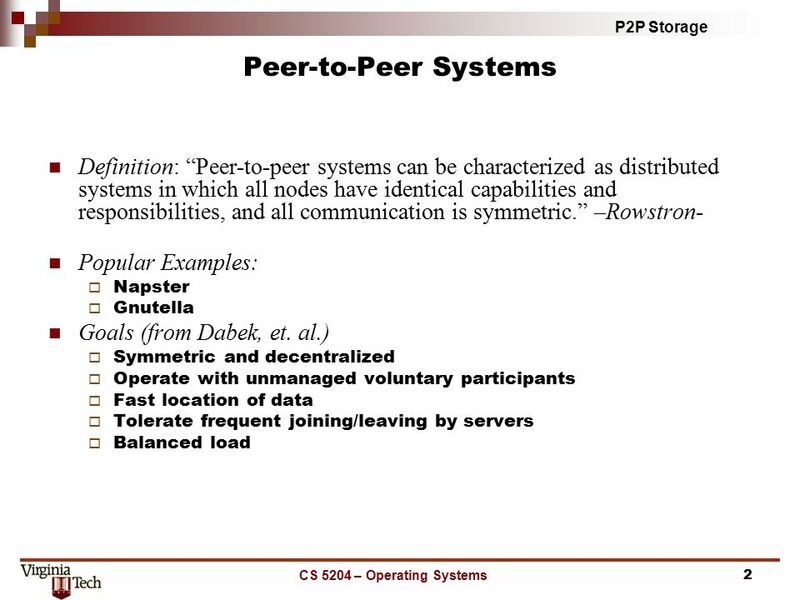 What is Peer-to-Peer?  Every node is designed to(but may not by user choice) provide some service that helps. What is a P2P system? 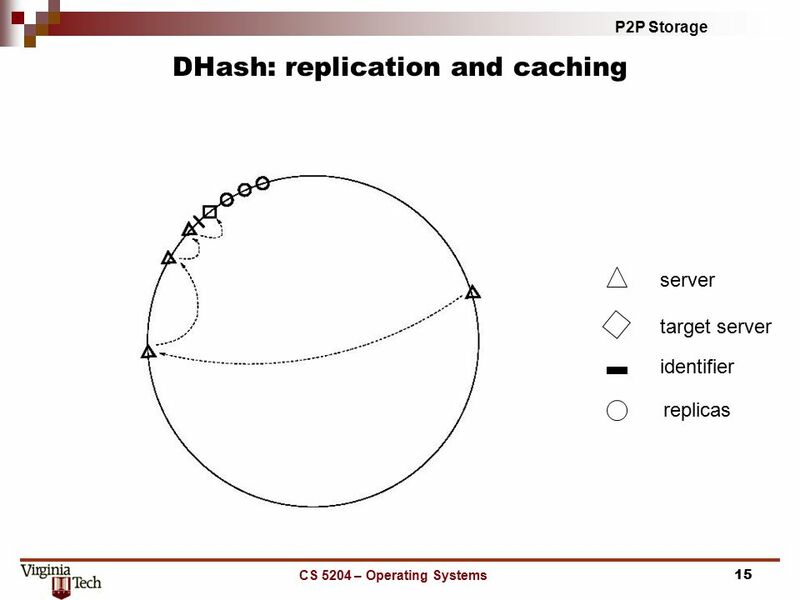 A distributed system architecture: No centralized control Nodes are symmetric in function Large number of unreliable nodes Enabled. 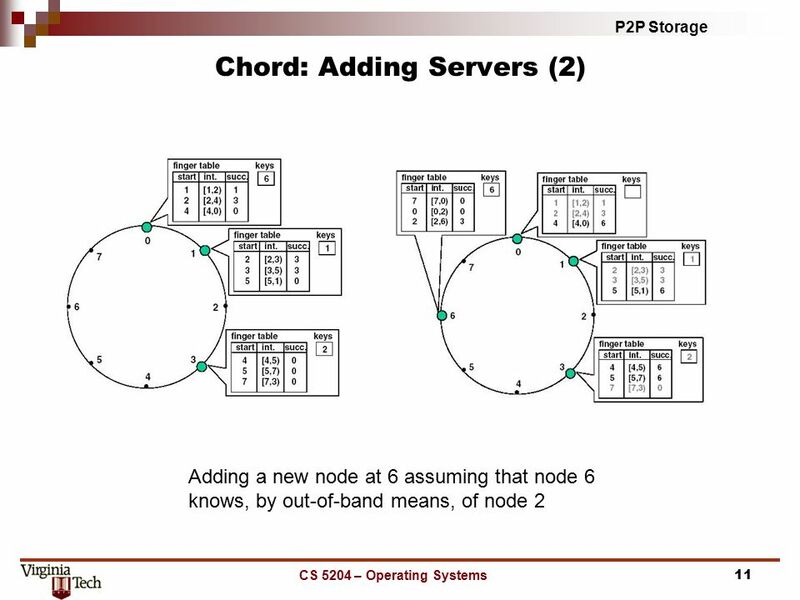 Structure Overlay Networks and Chord Presentation by Todd Gardner Figures from: Ion Stoica, Robert Morris, David Liben- Nowell, David R. Karger, M. Frans.